Commuters that use the LIRR and subways will see major changes now that the MTA was awarded over $866 million to rebuild infrastructure after damages from Hurricane Sandy. Governor Andrew Cuomo announced Friday that $886.3 million has been awarded to the MTA by the Federal Transit Administration. The majority of the funding will go towards the New York City Transit system, which the MTA says “was dealt the most crippling blows by the storm surge.” Over $266 million will go towards completely rebuilding the R Line –Montague Tube, including installing a new track, switches, 30,000 feet of duct bank, 200,000 feet of communications cables, and 75,000 feet of power cable. 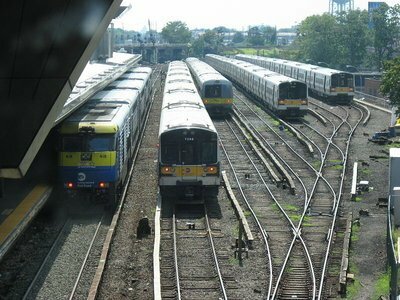 Over $145 million will be used toward rebuilding the Long Island Rail Road, and will go towards funding projects to replace three of four substations on the Long Beach Branch, and to permanently restore signals, power, and communications systems, system components and cabling along the right-of-way, including grade crossings and station platforms. Infrastructure will also be replaced at the West Side Yard and First Avenue Substation, and system upgrades will be made at the Hillside Support Facility, Shea Yard, the Far Rockaway Branch, and the Westbury Station. About $3 million will go towards electrifying two more tracks at the Long Island City Yard, which would make Long Island City a “more robust terminal if service through East River Tunnels is curtailed,” said the MTA. The funding will also go towards infrastructure repairs on the MTA Metro-North Railroad and MTA Capital Construction. Subject: LongIsland.com - Your Name sent you Article details of "Over $886 Million Awarded to the MTA to Rebuild Infrastructure Damaged by Hurricane Sandy"